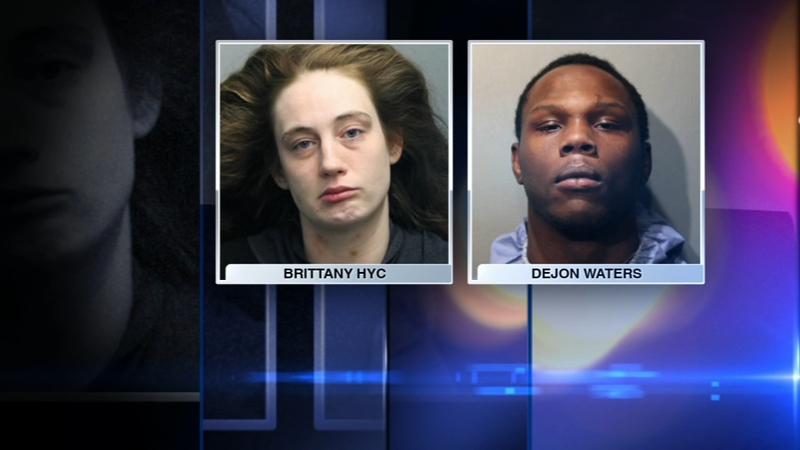 A mother and her boyfriend have been charged after the death of the woman's 2-year-old son in Washington Park, Chicago police said Thursday. CHICAGO, Illinois -- A mother and her boyfriend have been charged after the death of the woman's 2-year-old son in Washington Park, Chicago police said Thursday. Police were called at 6:50 p.m. on Monday, March 18 and found the boy unresponsive with visible injuries to his face and body. The boy was transported to Comer Children's Hospital, where he later died. He has been identified to the Cook County Medical Examiner's Office as Ja'hir Gibbons. Police said Dejon Waters, 21, was in charge of babysitting the boy and admitted to physically abusing him, causing the fatal injuries. The boy's mother, 28-year-old Brittany Hyc, was taken into custody after police said she knowingly endangered her child by leaving him in the care of Waters. Police said Waters had battered the child on previous occasions. Ja'hir's 5-year-old brother was also taken from the home after police said he was covered in bruises. Waters was charged with first degree murder and Hyc was charged with child endangerment. "My son Ja'hir was very a playful, very loving son," said his father, Robert Gibbons. But Gibbons said he endured months of abuse. Gibbons also puts blame on the Department of Child and Family Services. The father of two said he called DCFS several times in the past about alleged abuse and wanted his children removed from that house. He said DCFS failed his son. "I feel that they ignored the abuse and they allowed Ja'hir to go back in the home and now he is dead," Gibbons said. Ja'hir died less than 48 hours after an agency contracted by DCFS visited the home and reported that the children were safe. The agency told ABC7 the death of Ja'hir Gibbons is unacceptable and officials are conducting a full investigation. "I truly, truly believe that they should be held responsible for this," Gibbons said. Ja'hir will be laid to rest on Saturday, March 23. Family members are trying to figure out how to pay for the services for a 2-year-old boy they did not think they would be saying goodbye to. For information on making a donation for Ja'hir 's funeral expenses, click here.